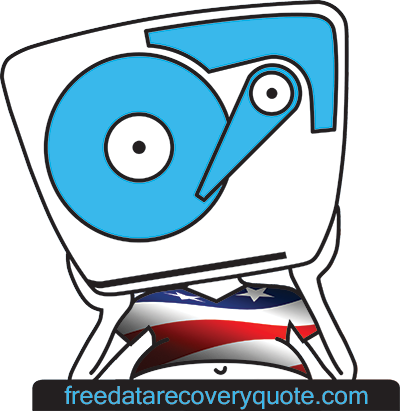 This week the clever guys over at Advanced Data Recovery Analytics (ADRECA) announced the release of their new online Free Data Recovery Quote service from their lab based in Los Angeles, California. This week, Advanced Data Recovery Analytics (ADRECA) announced the release of their new web-based service, Free Data Recovery Quote. Igor Sestanj, the Project Designer and lead Data Recovery Engineer explained how this exciting new consumer tool works and why he thinks it will change ‘business as usual’ for those needing assistance with data recovery issues. Currently when one experiences a loss of data they seek-out a provider who will immediately take possession of the damaged equipment. The success or failure is now solely at the discretion of the chosen service provider. No information regarding the projected success rate or time needed to complete the case is provided beforehand. While the emergence of the ‘flat rate fee’ recovery providers seems to address the lack of credible upfront customer information, the reality is very few recovery cases will match conditions to applicable to flat rate offers. The vast majority of data recovery cases require experienced professionals and often cost a great deal more. Again, the customer will not know this information until the media in no longer in their control. What Mr. Sestanj and the crew over at ADRECA are hoping to do with Free Data Recovery Quote is to provide an accurate data recovery estimate before you drop-off or ship your broken data storage device and then gives you choices for finding a suitable provider to address your unique situation. They have developed a really user friendly site that guides you through every step of quote request process. It’s fast and it’s simple to enter your recovery specifics and with this information an analysis is generated. Based on 1000”s of similar cases you will learn success, time and cost for your closest match. All this takes place before you even leave your couch. With this knowledge you are given an opportunity to be contacted by reputable data recovery providers who will accept the stated information from your report. The site http://www.freedatarecoveryquote.com is easy to navigate for even the novice computer user. It manages to be both informative and entertaining at the same time. But, what really impresses is how quick and accurate the whole process went. A quote is quickly generated and options are given to select a trusted local provider in your area. The service makes the poison-pill of data recovery a little easier to swallow.